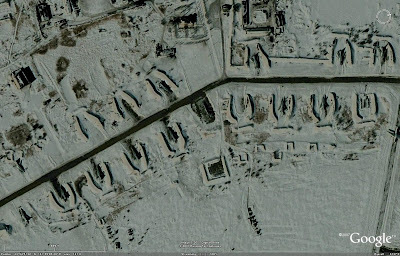 Some of the most guarded military facilities in the world are the homes to nuclear missile submarines. 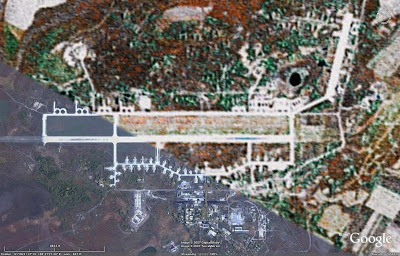 These bastions of nuclear warfighting power represent the homes of the most powerful weapon systems ever conceived. 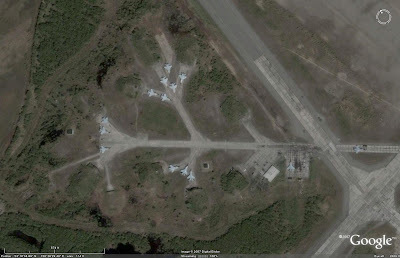 It should be noted that only operational bases will be discussed herein; support facilities, construction yards, and other facilities are outside the scope of this article. An SSBN is a nuclear-powered submarine designed to carry and launch a number of nuclear-armed ballistic missiles. SSBNs act as the seagoing component of their operators nuclear deterrent force. The advantage of an SSBN lies in its inherent survivability through stealth. SSBNs are notoriously hard to locate when in their patrol areas and are the perfect counterforce weapon in a nuclear conflict. The mere presence of an SSBN at sea may be enough of a deterrent to ward off a nuclear exchange, as a retaliatory strike is all but guaranteed. 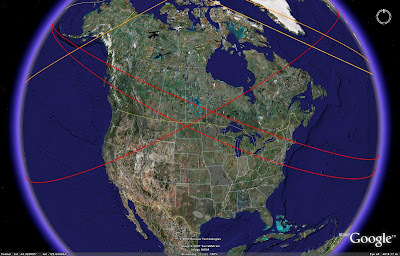 A modern SSBN using depressed-trajectory weapons can also provide a legitimate first-strike capability, bestowing little or no warning on a targeted nation and increasing the odds that a crippling, decisive first strike can be a successful nuclear warfighting option. It should come as no suprise that the five nations employing SSBN fleets are also the five permanent members of the UN Security Council. 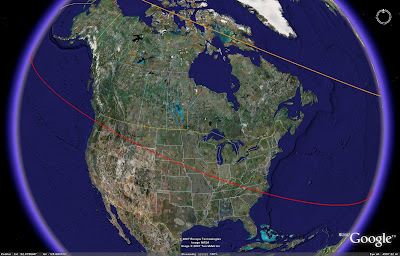 The United States operates two SSBN facilities, one serving each coast. 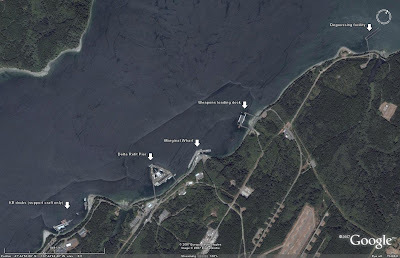 The Pacific coast facility is located at Bangor, Washington, with the Atlantic coast facility being located at Kings Bay, Georgia. 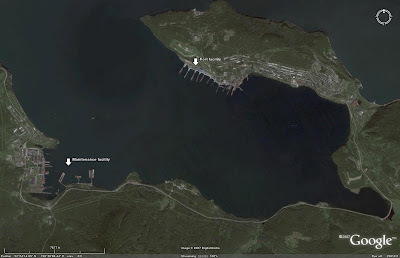 The Bangor, Washington SSBN facility consists of five main dockside areas. 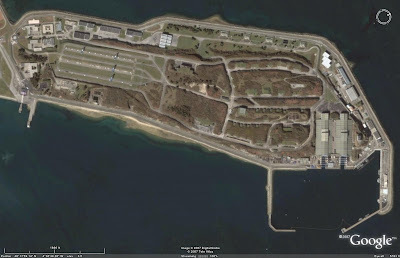 The southernmost facility, the KB docks, are only used to service and house support craft which service the SSBNs. SSBNs themselves tie up pierside at either the Delta Refit Pier, or the Marginal Wharf. Weapons loading is carried out at a dedicated covered dock, and a degaussing facility is also present. 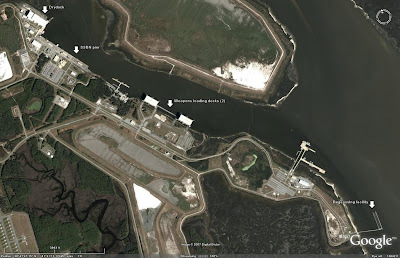 The Kings Bay SSBN facility consists of four main dockside areas. 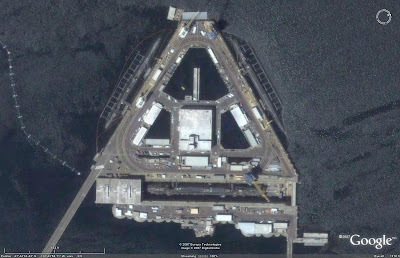 There is a primary pier for supporting submarines in port, a drydock facility, and a degaussing facility. 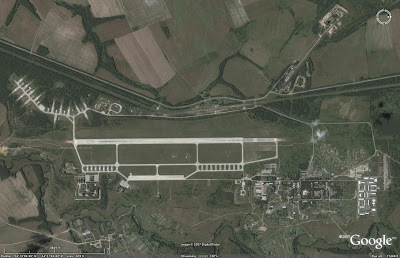 There are also two weapons loading facilities, in contrast to the Bangor SSBN base, which only has one. The United Kingdom's SSBN force, consisting of four Vanguard class SSBNs, is based at HMS Neptune in the northwestern part of the nation. The facility is referred to as HMS Neptune due to the Royal Navy's practice of commisioning shore facilities as vessels in Her Majesty's Navy. 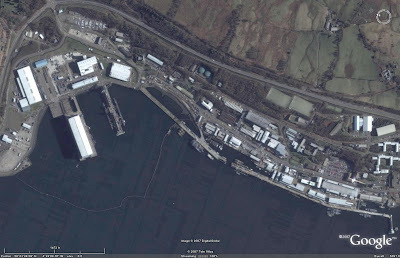 Outside of military circles, however, the facility is more commonly known as Faslane. 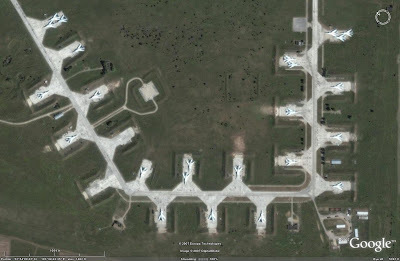 France's Force Oceanique Strategique controls French SSBNs, which are based at I'lle Longue, near the port of Brest. The M4 L'Inflexible class SSBNs have given way to the new SNLE-NG Le Triomphant class SSBNs, with three of the latter having been commissioned as of the end of 2007, with a fourth due in 2008. 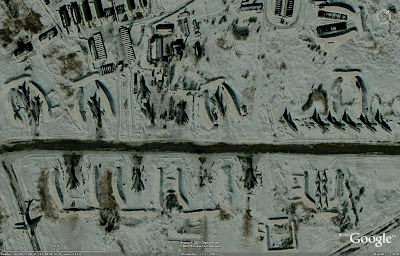 Russia's SSBN force has shrank considerably since the end of the Cold War. The recent withdrawl from service of Delta I and Typhoon class SSBNs leaves only the Delta III and Delta IV still serving until the new Borey class vessels are ready for duty. 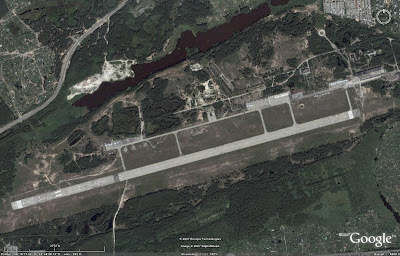 One Typhoon is still active in support of the Bulava SLBM test program out of Severodvinsk, but is no longer on active duty with the Northern Fleet. 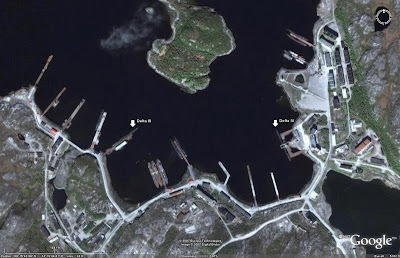 The withdrawl of the Typhoons means that Litsa Guba is no longer an active SSBN facility, leaving the Russian SSBN force with two operating locations: Gadzhiyevo in the Northern Fleet, and Rybachiy in the Pacific Fleet. 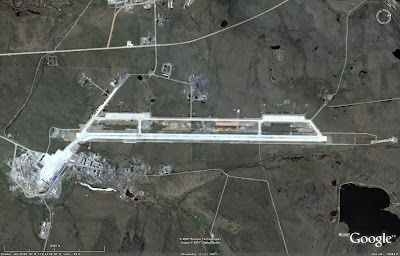 Gadzhiyevo, located on the Kola Peninsula, is the home to the Russian Northern Fleet's SSBN force. Both Delta III and Delta IV class SSBNs are operated. 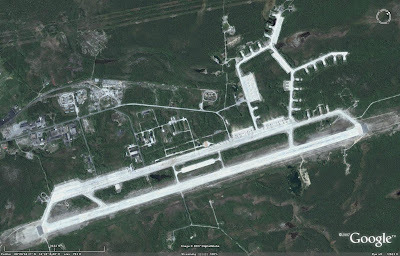 Rybachiy, located near Petropavlovsk on the Kamchatka Peninsula, is the home to the remainder of Russia's operational Delta III SSBN fleet. 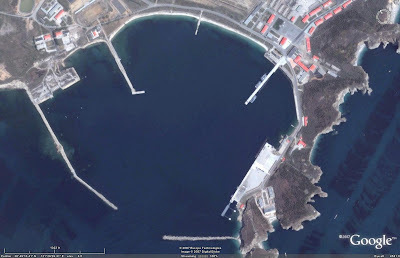 Rybachiy is divided into two main areas, a port facility where operational SSBNs and SSNs are docked, and a maintenance facility with a floating drydock for upkeep of the Pacific Fleet submarine force stationed there. 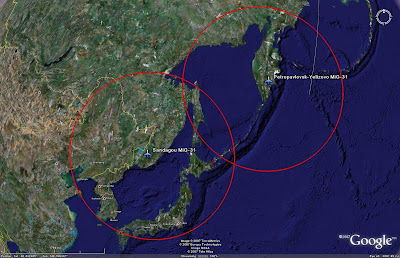 There are three primary SSBN facilities serving the PLAN, Qingdao, Xiaopingdao, and Yulin. The Qingdao facility is located near the port city of the same name, while the Xiaopingdao facility is located near the port city of Dalian. Yulin is located much farther south, on Hainan island. 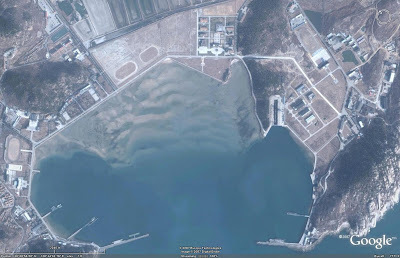 Qingdao was the first SSBN facility to be constructed in China. It currently serves as the homeport for China's sole Type 092 Xia-class SSBN, as well as a number of SSNs. 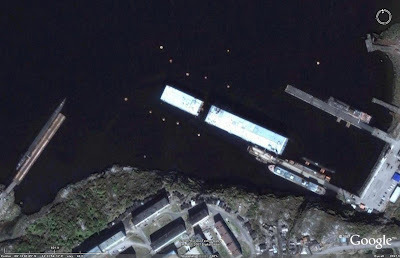 The only currently identified structure known to service the Type 092 SSBN is a large drydock facility. 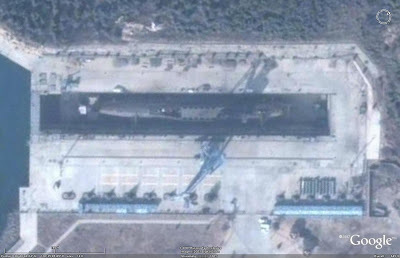 Xiaopingdao is a relatively new SSBN facility associated with the new Type 094 Jin-class SSBN currently being fielded. 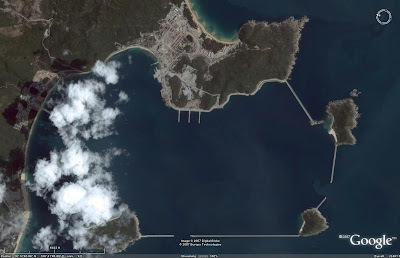 Jin-class SSBNs have been identified at this facility in the past, and Xiaopingdao is also home to the PLAN's sole Golf-class SSB. The Golf-class SSB is employed as an SLBM test vehicle, and is currently likely supporting JL-2 SLBM trials for the Type 094 fleet. 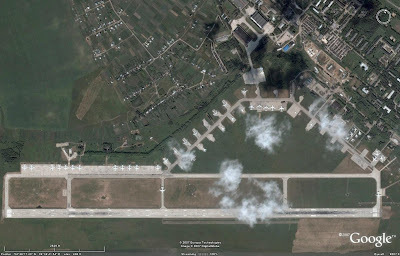 The transitory nature of Jin-class SSBN presence at Xiaopingdao, as well as the Golf-class SSB's presence, suggests that Xiaopingdao may not be home to any operational SSBNs, but may instead be a trials base where new SSBNs and SLBMs are trialled before entering operational service. 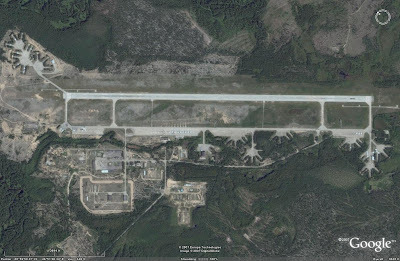 Yulin is the latest naval facility to be associated with the PLAN's SSBN force. 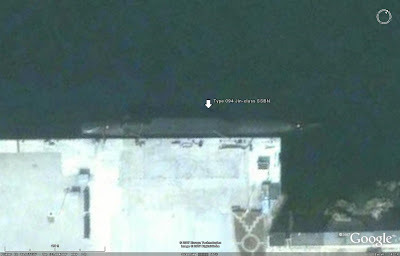 In December of 2007 images appeard on the internet of a Jin-class SSBN pierside at the Yulin submarine facility. 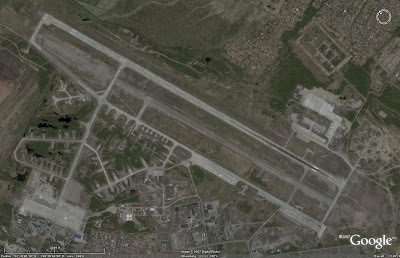 Until this point Yulin had never been visited by nor been the home port to a Chinese SSBN. 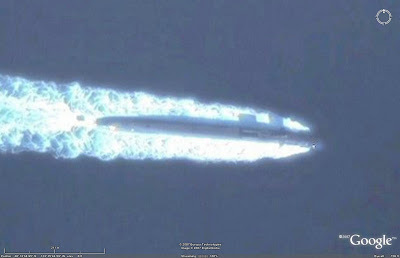 While it is possible that this represents a port of call by a new Type 094 SSBN making a long-distance sortie in Chinese waters, it is also possible that the vessel sighted there will now call Yulin home, giving China two separate operational SSBN port facilities, with both the North Sea Fleet and the South Sea Fleet having an SSBN contingent. 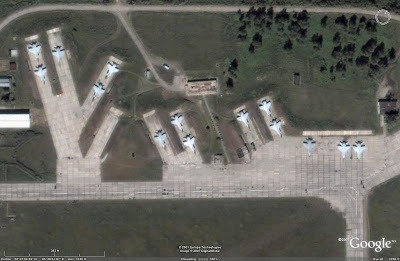 One of the primary missions of the Russian Air Force is that of strategic warfighting. 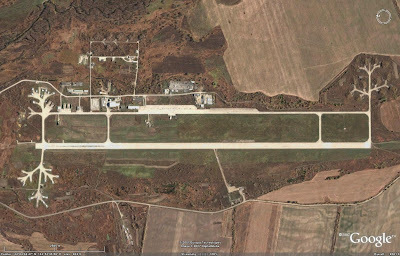 To that end, there are various facilities and aircraft around the nation performing a variety of roles in support of the strategic warfighting mission. 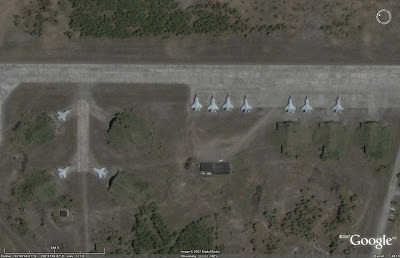 While there have been drawdowns and force reductions in recent years, the Russian military still maintains a very robust, capable, and varied strategic warfighting air arm. 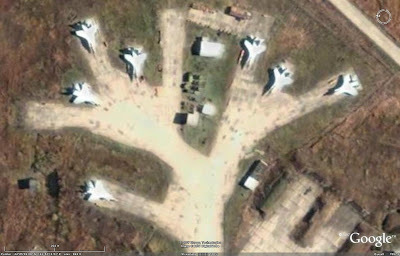 Russian strategic air assets fall into two categories: offensive and defensive. 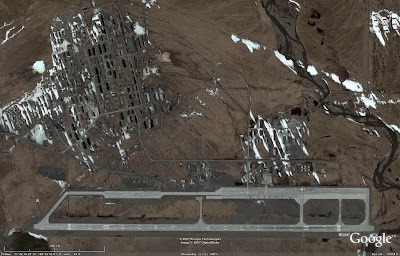 The offensive component consists of Tupolev bombers, primarily the Tu-22M3 BACKFIRE-C theater bomber and the Tu-95MS BEAR-H and Tu-160 BLACKJACK strategic missile carriers. 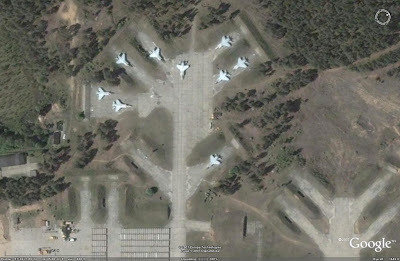 The defensive component consists of MiG-31 FOXHOUND interceptors and Beriev A-50 MAINSTAY AEW&C platforms. 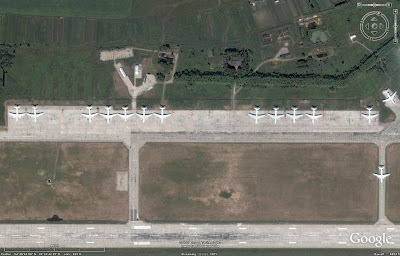 A handful of Ilyushin Il-78 MIDAS aerial refueling platforms are also in service, primarily tasked with supporting the strategic aviation fleet. 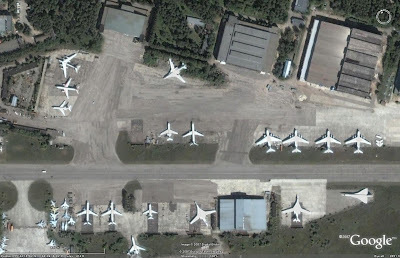 Command and control assets such as the Il-86 CAMBER are also used to support strategic warfighting, but are not within the scope of this article. 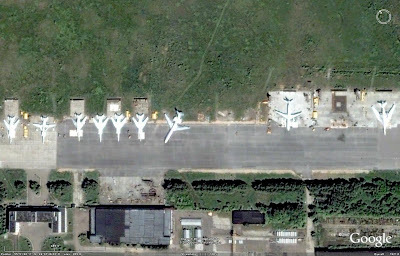 These assets are based at Moscow-Sheremetyevo. 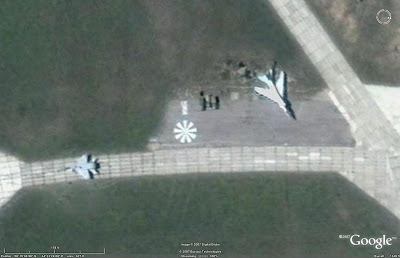 The Tu-22M3 BACKFIRE-C is the primary theater strike aircraft for the Russian military. 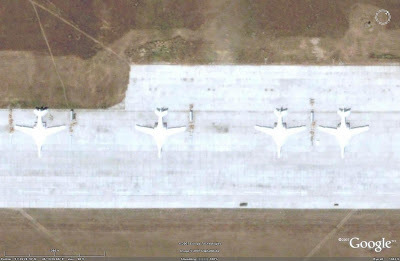 The Tu-22M3 is employed by both Long Range Aviation and the AV-MF. AV-MF aircraft are primarily tasked in an anti-shipping role. 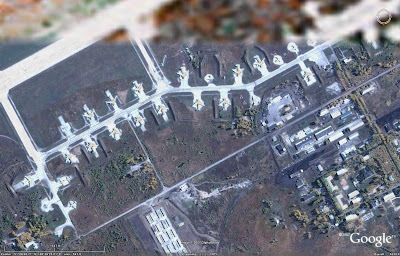 Both air arms employ the Kh-22 (AS-4 KITCHEN) standoff nuclear missile as the BACKFIRE-C's primary armament. Kh-15 (AS-16 KICKBACK) hypersonic strike missiles can also be employed, as well as unguided gravity bombs of various sizes. 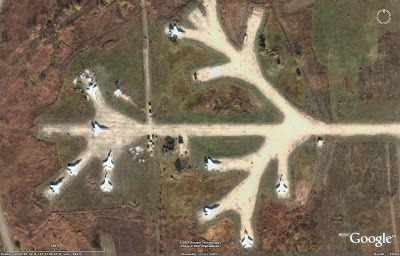 The elderly Tu-95 remains one of Russia's most important combat assets. The Tu-95MS variant is employed as a cruise missile carrier, equipped with an internal rotary launcher for six Kh-55 (AS-15 KENT) ALCMs. 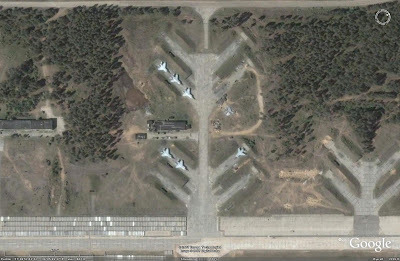 Initially, the Tu-95MS was available in two versions, the Tu-95MS-6 and the Tu-95MS-16. 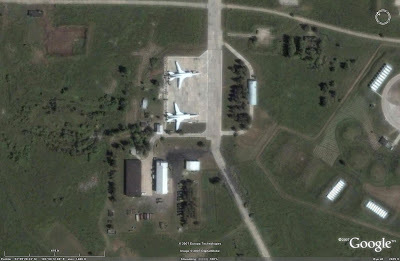 The Tu-95MS-6 was armed with the internal rotary launcher, while the Tu-95MS-16 added two hardpoints under each wing allowing for the external carriage of a further ten Kh-55s. 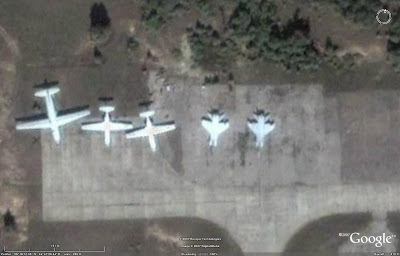 In accordance with the START agreement, the external carriage capability was removed, essentially resulting in a force of only Tu-95MS-6 variants. 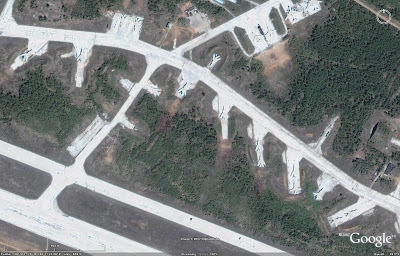 At least one Tu-95MS airframe has been active at Zhukovskiy as the Tu-95MA, being responsible for advanced weapons trials. This aircraft was responsible for launching the Kh-80 Meteorit supersonic ALCMs before that program was cancelled due to development problems. 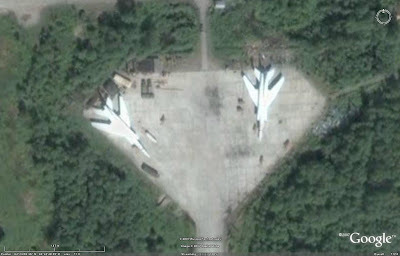 The Tu-160 BLACKJACK remains the largest combat aircraft in the world. Approximately 25% larger than it's Western counterpart, the B-1B, the Tu-160 is a supersonic, intercontinental-range cruise missile carrier. Two internal rotary launchers allow for the carriage of twelve Kh-55 ALCMs. 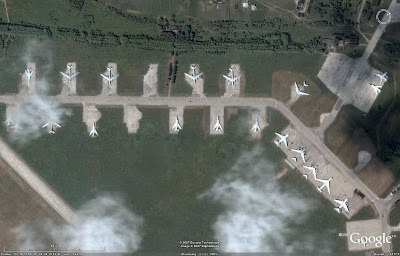 The USSR had planned on acquiring 100 Tu-160s, but the end of the Cold War and the breakup of the Soviet Union resulted in only a fraction of that number being completed, with 19 aircraft at Priluki AB being taken over by the Ukraine after the breakup. 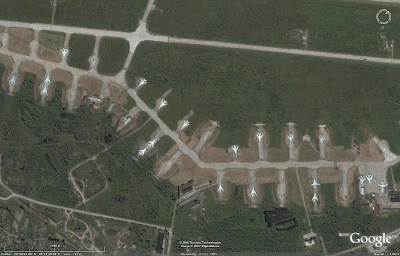 Eight Ukrainian aircraft eventually joined the six operational Russian examples at Engels AB via a debt repayment agreement, with a further aircraft being completed at the Kazan factory. 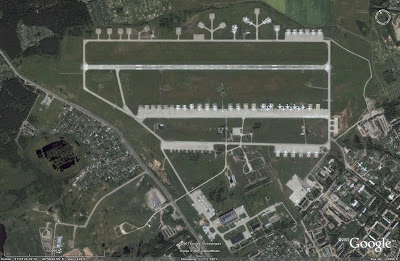 Two or three other aircraft will still be completed at Kazan, and will join the operational fleet, along with two refurbished examples taken from the Tupolev test fleet at Zhukovskiy, one of which was delivered to Engels last year. 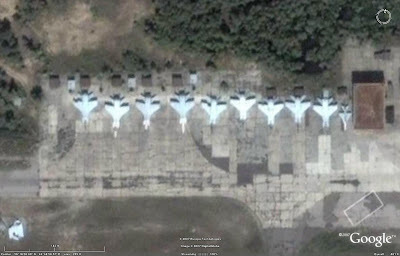 One operational Tu-160 has been lost, leaving Russia with an eventual fleet of 18 or 19 aircraft, and a current strength of 15 aircraft. The MiG-31 FOXHOUND is a strategic interceptor tasked with defending Russia's vast airspace from inbound strategic bombers, cruise missiles, or reconnaissance aircraft. 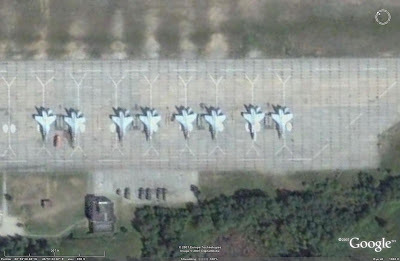 The MiG-31's primary weapon is the R-33S (AA-9 AMOS B) long-range AAM. The R-33S, a SARH weapon, is an improved version of the initial R-33 (AMOS A). 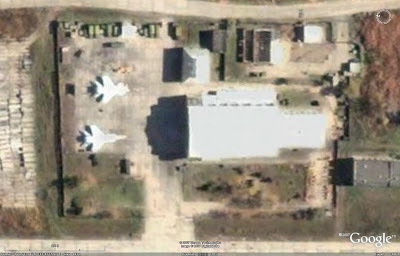 The R-33S was developed alongisde an avionics upgrade for the MiG-31 as a response to American espionage which compromised the initial systems, and has a maximum range of 160 kilometers. 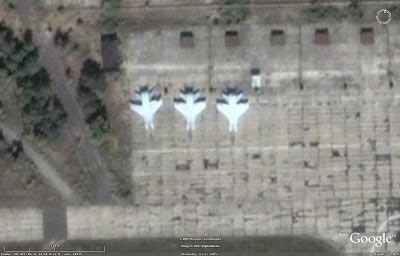 Three versions of the MiG-31 are presently fielded: the baseline MiG-31,the improved MiG-31B which added IFR capability, and the MiG-31BS, which is a MiG-31 upgraded to MiG-31B standard. 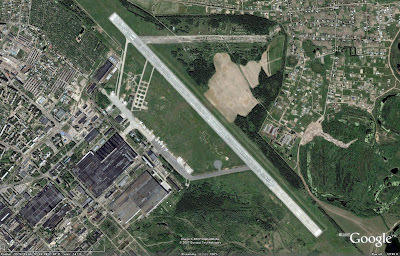 Upgrades and overhauls are performed at the factory at Nizhny Novgorod. 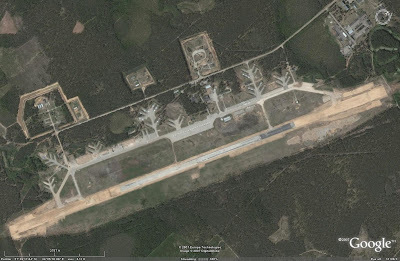 Beriev's A-50 MAINSTAY is an AEW&C conversion of the Ilyushin Il-76 CANDID transport. 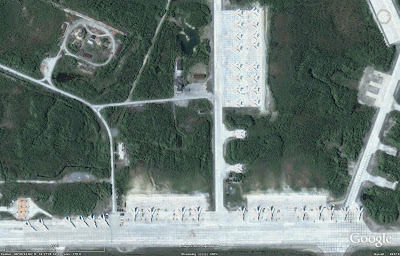 Incorporating a Shmel' radar system in a rotodome above the rear fuselage, the A-50 is the airborne early warning component of the strategic defense network. The Il-78 MIDAS is an in-flight refueling tanker based on the Il-76 CANDID transport. 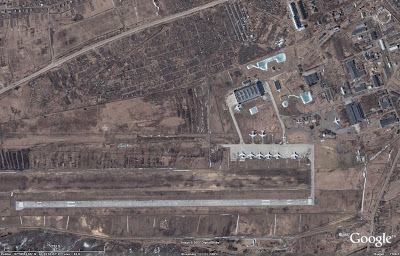 Russia's Il-78 force is primarily tasked to support strategic aviation due to the small size of the fleet; when the USSR broke up, a good deal of the in-service Il-78s were in the Ukraine. 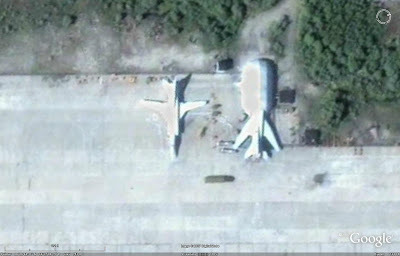 Two versions exist, the Il-78 and Il-78M. 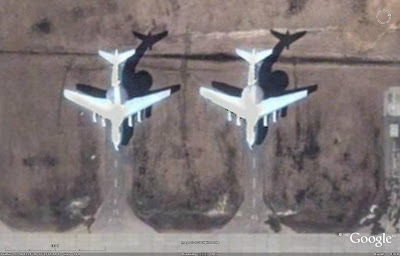 The Il-78 is a single-point refueling platform incorporating a drogue system in the rear fuselage. 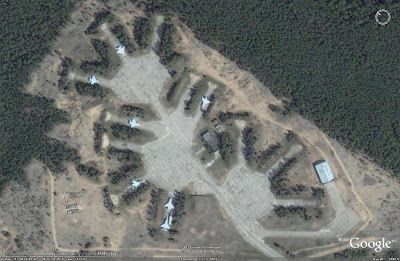 The Il-78M is a three-point refueling platform, adding two additional drogues under the outer wings. 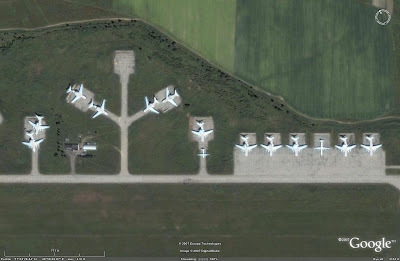 -Ostrov is home to the Tu-22M3 training unit. 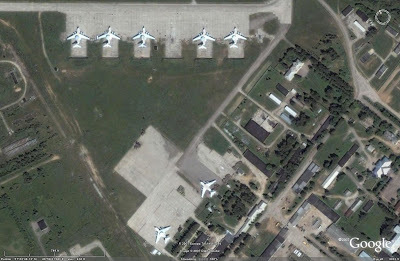 -Ryazan is home to the Tu-95MS training unit. 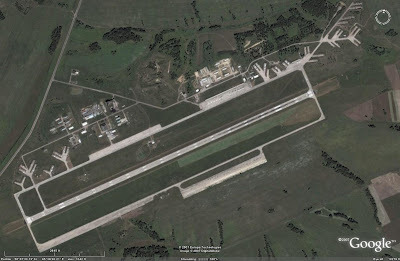 -Savasleyka is home to the training unit for the MiG-31 fleet. 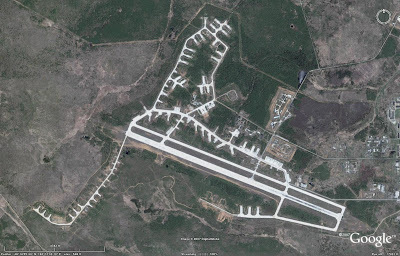 These locations are arctic air bases used to forward-deploy strategic aviation assets. 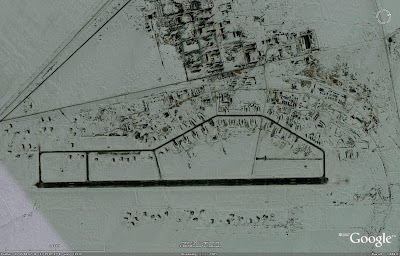 -Lakhta AB is primarily used to support Tu-22M3 deployments. 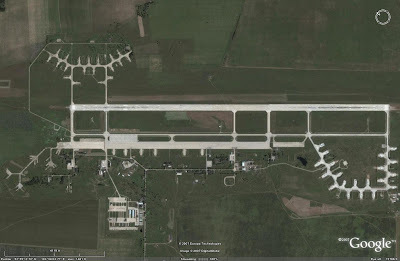 These facilities provide a support role to the strategic aviation element. 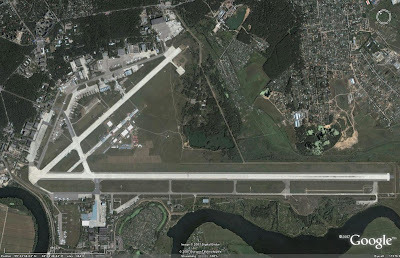 -Kazan is the location of the assembly halls which built the Tu-160, Tu-95, and Tu-22M3. 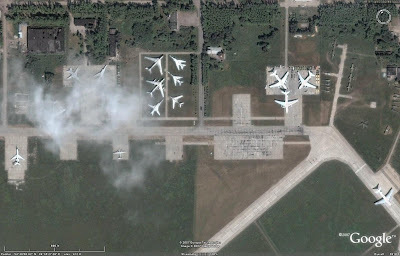 Tu-160 airframes are still being completed here, and refurbishment work on Tu-95, Tu-160, and Tu-22M3 airframes is also conducted here. 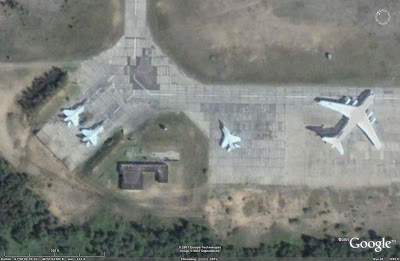 -Nizhny Novgorod is the former location of the MiG-31 assembly line. 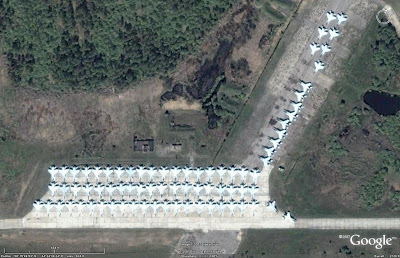 MiG-31s are stored here as they await upgrade and/or refurbishment and a return to active service. 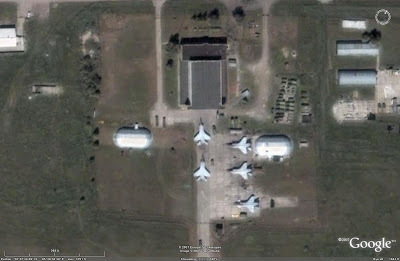 -Rzhev is a depot-level maintenance facility for the MiG-31 fleet. 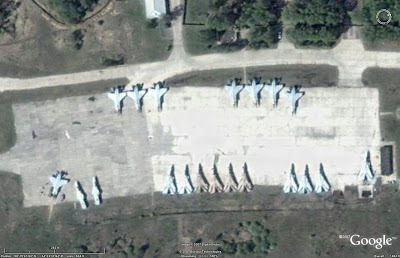 Many MiG-31s are stored here after being removed from service. 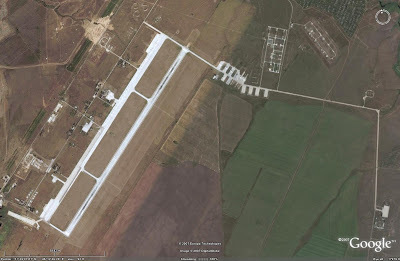 -Staraya Russa is a depot-level maintenance facility which serves various aircraft types, including the A-50. 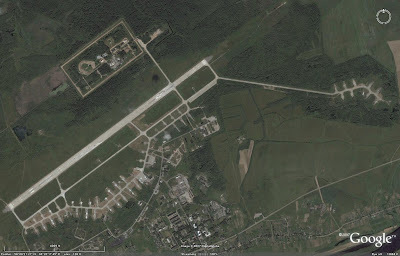 -Zhukovskiy is the home of the primary flight test center for the Russian air forces. 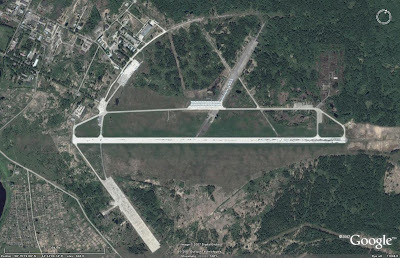 Each OKB maintains a flight test facility at Zhukovskiy for initial flight trials of prototype aircraft. 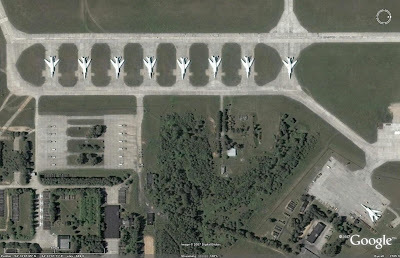 -Visible ORBAT: 1 Tu-95, 3 Tu-160; 1 Tu-95 and 1 Tu-160 are present on the airfield but are in reality operational aircraft from Engels AB flown in for the 2007 Moscow Airshow. 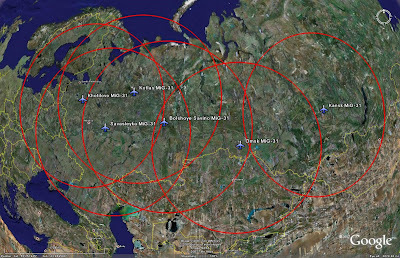 In order to fully appreciate the capability and reach of Russia's strategic air arm, the following images are provided depicting the combat radii of different aircraft types. 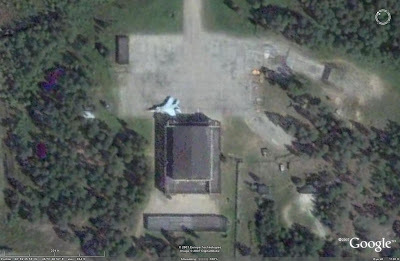 -The Tu-22M3 has a combat radius of 2,200 kilometers. 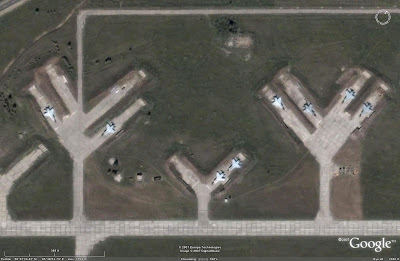 -The Tu-95MS has a maximum unrefueled range of 10,500 kilometers with six Kh-55SM ALCMs. 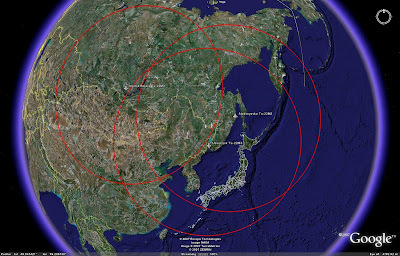 Combat radius is notionally calculated at 5,000 kilometers. 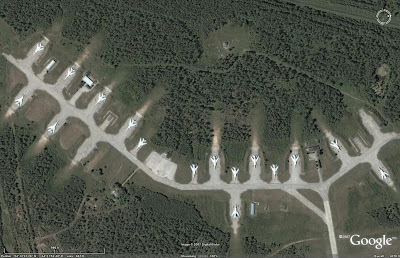 Bear in mind that range and/or endurance can be increased with in-flight refueling. 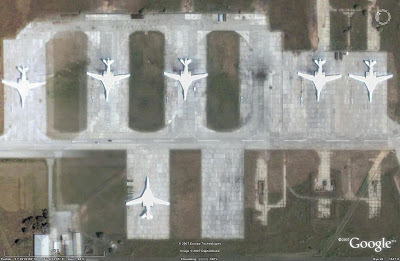 -The Tu-160 has a maximum unrefueled range of 12,300 kilometers with twelve Kh-55SM ALCMs. 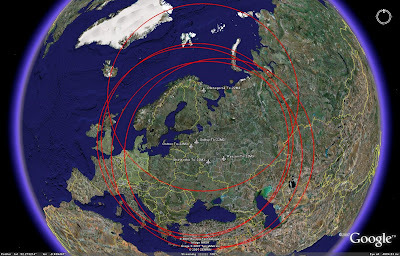 Combat radius is notionally calculated at 6,000 kilometers. Bear in mind that range and/or endurance can be increased with in-flight refueling. 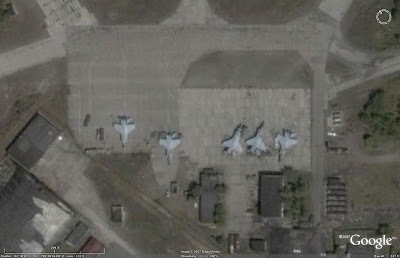 -The MiG-31 has a combat radius with no external fuel of 1250 kilometers at Mach 0.8, or 720 kilometers at Mach 2.35. 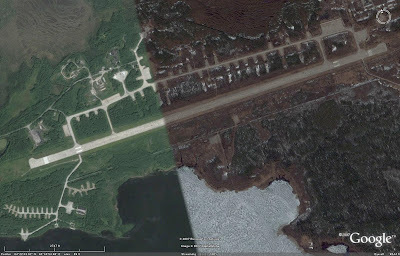 Bear in mind that range and/or endurance can be increased with in-flight refueling. 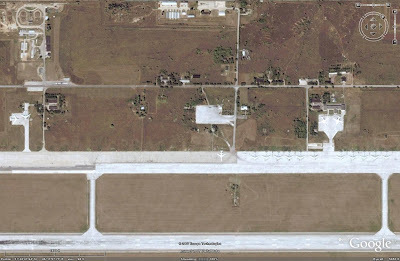 Satellite imagery is provided courtesy of Google Earth. 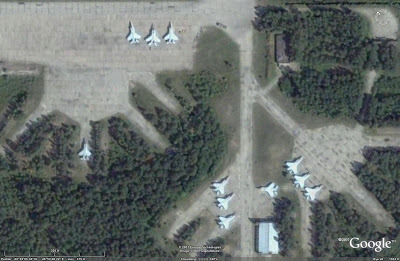 -This article was updated on 22 December 2007 to account for newly available and updated overhead imagery; Dolinsk-Sokol and Morshansk were removed from the list of active MiG-31 bases as they have been found to have no aircraft present, airfield imagery has been updated in numerous places, and orders of battle have been updated accordingly.